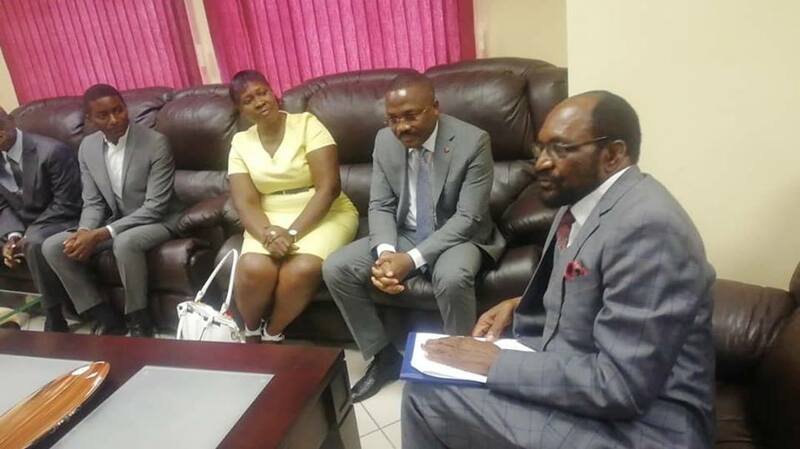 THE governor of Southern Angola’s Cunene Province, Vigilio Da Ressureicao Bernando Adriana Tyovaand, said bilateral relations between Namibia and Angola can be strengthened if leaders of the two nations work together for the benefit of their people. 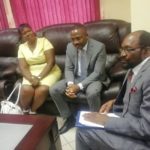 Tyovaand made these remarks during his familiarisation visit to the Ohangwena Regional Governor, Usko Nghaamwa, on Tuesday. Tyovaand, who is on a familiarization visit to his Namibian counterpart, made his first stop at the Namibia Heritage Site, the Eenhana Shrine where he laid a wreath in honour of Namibia’s fallen heroes of the liberation struggle. He also toured the fast growing Eenhana Town and focussed specifically on the town’s current housing development projects. Ohangwena Governor Nghaamwa applauded his Angolan counterpart for rekindling the historical and political ties between the two sister countries. Tyovaand was accompanied by a delegation of his staff from the Cunene province.